Preventative Dentistry Specialist - Torrance, CA: Eugene Y. Yang, DDS: General & Cosmetic Dentist: Eugene Y. Yang, DDS, INC.
It’s estimated that close to 100 million Americans fail to see their dentist for regular checkups, cleanings, and preventive dental care each year, even though good oral health is an essential component of overall health and well-being. Because having routine checkups can be so beneficial, Dr. Eugene Y. Yang strives to make sure that his patients understand the benefits of regular preventive dental care. 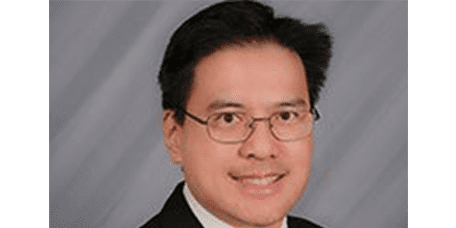 From his practice at Eugene Y. Yang, DDS, INC. in Torrance, California, Dr. Yang offers a complete menu of preventive dentistry services to patients in the South Bay area. Call the office or schedule your appointment online today. Having your teeth cleaned and examined by a dentist is one of the easiest ways to prevent tooth decay and spot problems before they progress. Regular dental checkups help prevent tooth decay, because dentists have advanced equipment that can remove plaque more effectively than the manual or electric toothbrush you use at home. They also have the tools and expertise required to remove tartar, or calcified plaque. Tartar, which is something that even the best oral care routine can’t get rid of without professional help, can lead to gum disease, and eventually tooth loss, when it’s left untreated. What other preventive dental services are available? Fluoride is a mineral that helps prevent cavities in patients of all ages. Regular fluoride treatments can even counteract and repair early, microscopic stages of tooth decay. Dr. Yang applies a topical fluoride to your teeth, where it remains for several minutes. Fluoride treatments may be given annually, if you have good oral health, or every three to six months, if your teeth are prone to decay. Sealants are a quick, inexpensive, and effective form of cavity prevention for children. They’re applied to the chewing surfaces of molars and premolars in the back of a child’s mouth, where they keep bacteria and decay out of the tiny grooves and pits on the chewing surface. Although sealants act as a long-lasting barrier against tooth decay, sealed teeth still require proper brushing and flossing to remain cavity-free. After examining your teeth, Dr. Yang can help you understand where your brushing and flossing routine may fall short, and offer recommendations on how to improve it. Regular dental cleanings remove plaque and lingering bacteria, which can help you avoid persistent bad breath. Professional cleanings are the most effective way to remove the kind of built-up stains caused by coffee, tea, red wine, and certain foods, leaving you with whiter, brighter teeth. There’s no one-size-fits-all approach when it comes to how often you should see Dr. Yang for regular checkups. After he reviews your dental history and assesses the condition of your teeth, Dr. Yang can recommend how often you should come in for routine, preventive dental care.